Fordhall is ringing with the noise of baa’s from every angle. With around 90 lambs so far there is plenty of skipping and jumping going on, and thats just the volunteers. 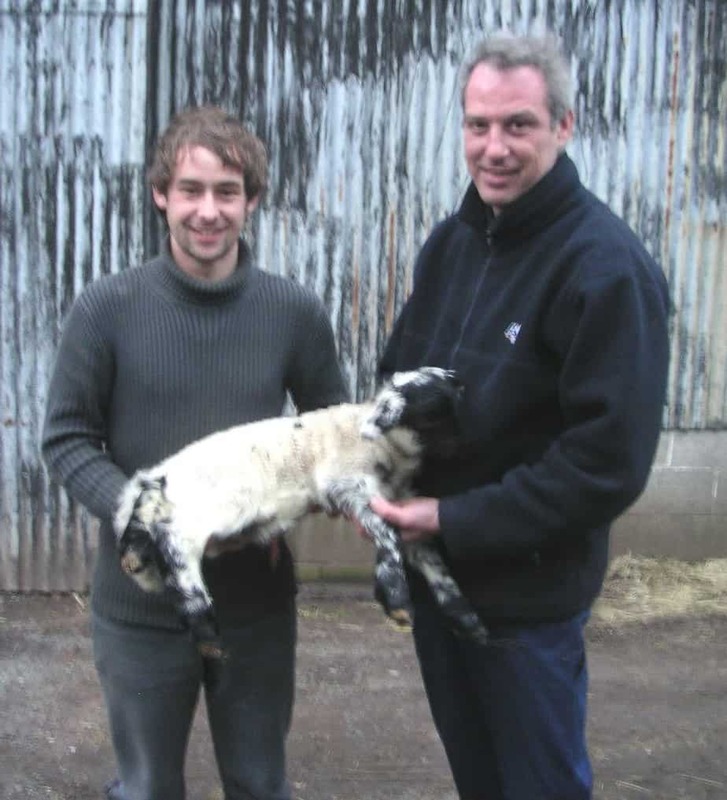 Modelled by Farmer Ben and ‘Courier’ Dave is the largest new-born lamb yet. The picture above was taken only 12 hours after the lamb was born and its massive! You can see the lambs in the fields when you come to the Fordhall Food Festival on April 1st (11-4pm). A couple of lambs will be available for children to see them up close and personal. Also on the day will be a fantastic local food festival, live folk music, the Nature Trail and lots more fun activities for children and families. We look forward to seeing you there. Bring your wellies if its raining!